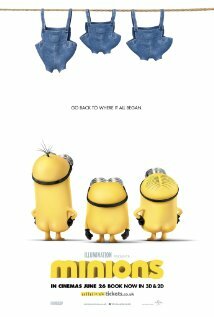 Plot: The minions go on a quest to find a villain to serve. A quest that leads them to VillianCon and Scarlett Overkill. Out of the three films in the DESPICABLE ME world this one comes in third. It's very funny and entertaining, but it is also very violent and scary. I wouldn't take anyone under age five to see this movie, nor would I take anyone with a fear of clowns. I really enjoyed MINIONS as an adult, but I also heard several children around age eight acting like it was the best film ever made. That said, this will almost certainly be another huge blockbuster. I was highly impressed at the writing and directing seeing as though much of the dialogue is gibberish, but the audience still understands what is happening. Also, kudos to Co-Director Pierre Coffin who is the voice of all of the minions. There aren't a lot of great family-friendly flicks hitting theaters this summer. In light of that, this one would be a good one to see in theaters. Just make sure the younger ones can handle it. NOTE: Make sure you stay through all of the credits. There is some great stuff worth waiting for at the end. Plot: Students try to bring back a play in which a student died while performing several years earlier, but an evil presence has other ideas. Shockingly, I was pleasantly surprised by this horror flick. It is by no means a great film, but the story is fairly interesting, and the twist is one you will never see coming. The downside is that this is another "found footage" film, and with this one they barely even attempt to give a reason for why they are carrying cameras around the whole time. And if you think for more than three seconds about the reason why they are having to use the cameras, you will realize it is a plot hole the size of Texas. THE GALLOWS isn't an overly scary film, but the scares that are there are almost all legitimate, (with one hilarious exception). That said, this film will make for a fun date night full of suspense and chills. This is a pretty good, thought-provoking thriller. It's a bit slow and predictable, but the premise is interesting, and the conflict is compelling. 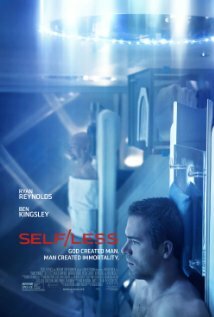 Ryan Reynolds does a good job playing multiple characters, and his supporting cast keeps the story moving at a reasonable pace. There are a couple of plot holes and moments of convenience, but they are all fairly minor. You should still be able to suspend disbelief and have an enjoyable time with this intriguing film. This is quite possibly the most heart-breaking and disturbing documentary I've ever seen. You literally watch a young girl work and drink herself to death. It's also a film that will make you angry. I imagine just about 100% of the people that see this movie will walk out of the theater wanting to strangle Amy's mom, dad, and husband. This documentary is a case study in bad parenting and enabling by people that would do anything to stay on the gravy train. The film is done well with a lot of unique footage. And the way the director weaves Amy's lyrics and songs throughout the story is a thing of beauty itself. 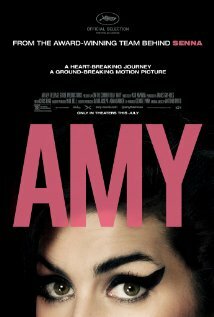 If you are a fan of Amy, or simply a fan of great musical talent, you should see this movie.